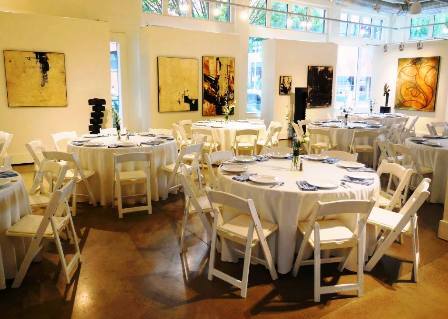 Elegant weddings and events at Gallery 903, in Portland’s Pearl District, are simple with Voilà Catering! 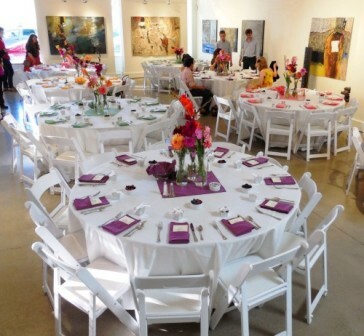 As a full-service catering company, we will manage the table and chair rentals; provide a CAD design for the layout; and add colorful lighting – in addition to taking care of all the food, service, staffing, and beverages! Unlike most catering companies at Gallery 903, our chef team will bring ovens and sauté stations to cook all the food on-site for a gourmet food experience to thrill even the biggest foodie! Gallery 903 will easily accommodate 175 for a standing reception or cocktail party; 150 for a dinner with some room for dancing; or about 125 for a wedding ceremony and dinner reception. Contact us to discuss this option and we can help make your event a complete success! 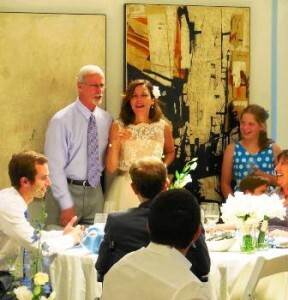 For information about our wedding planning visit www.WeddingsByVoila.com and contact the Gallery 903 by visiting their website here. 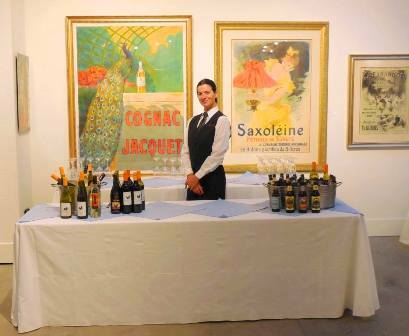 Professional and elegant bartending at Gallery 903… without an attitude and never a required gratuity!